Perambulating mid-packer opining about running products and practices. I was so wrapped up in loving the Escalante that I missed out on the Torin 3.5 Mesh. 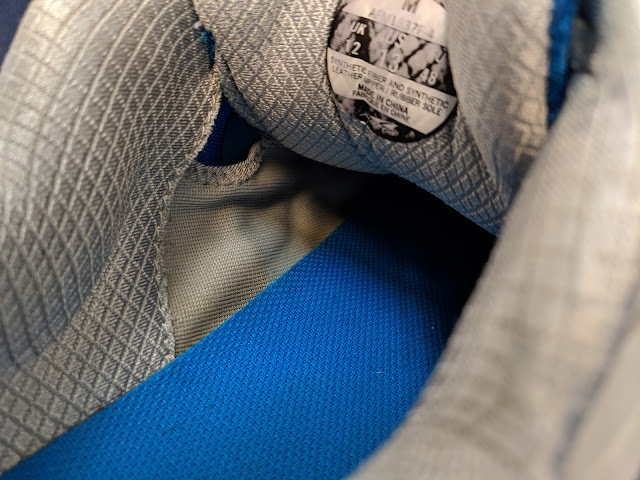 I've been a fan of the mainstay of Altra's line, and they seem to be making continued progress on making small improvements without trashing the basics - a supportive zero drop shoe that is a great everyday trainer. The 3.0s were a major improvement over the 2.5s; this upgrade is a minor improvement but has significant changes. - There is an improved mesh upper in this version. It is more comfortable to me, especially over the big toe, than the 3.0. This version is soft and has the kind of give in the material that I like in an upper - no hot spots after 90 miles. When I first tried on the shoe it fit a little tight, but loosened up very quickly. - There is a lot more support around the heel collar. Some dislike it and the fact it goes "up" the back of the Achilles heel; I find it super comfy and have no issues here. - They have a bit of an inner stretch booty going on (you can see it under/left of tongue) which works well to improve hold. - The midsole feels a bit more firm to me - not as firm as the 2.5, but a bit firmer than the 3.0. 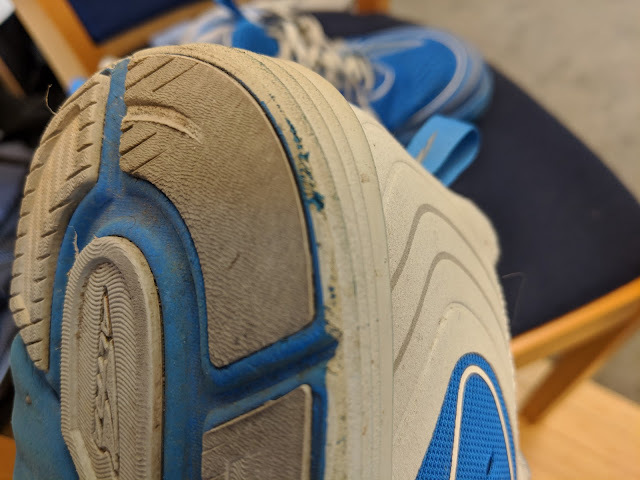 I love the feel of this shoe - and it doesn't feel like it is getting "flat" yet unlike past Torins which start to lose resiliency around the 100 mile mark. It is a bit softer than the 3.5 Knit, a point made by Road Trail Run's review. I've had some foot pain from running in the very flexible Escalantes so have been wearing the Torins for all my runs over the past couple of weeks. Out of necessity I'm running a couple of races (10M and 10K) in them, and find them totally acceptable to wear - not too heavy nor too warm. The Torin 3.5 Knit, in comparison, feel way too bulky and hot to race in in warmer weather. The Knit has a better feeling upper in terms of grip and fit, but the tightness of the weave broils my feet in anything other than sub freezing temps. I'm looking forward to the soon to arrive Torin 4.0s. 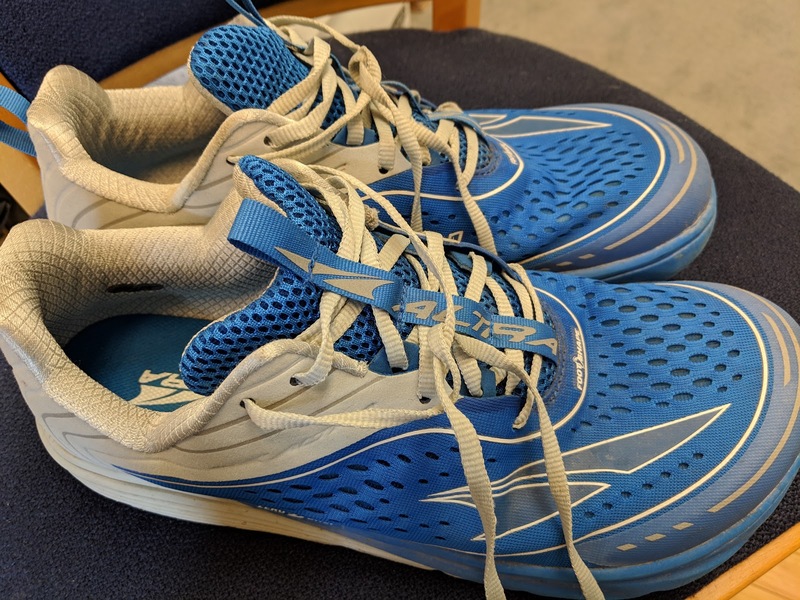 From Road Trail Run's photos they look similar to the 3.5s re the upper and have improved outsoles with more rubber coverage (hopefully they exhibit better road wear for me then past Torins -- they scuff/wear quite a bit especially when I run downhills!). Header photo via mcrrcphotos.com. Simple theme. Powered by Blogger.